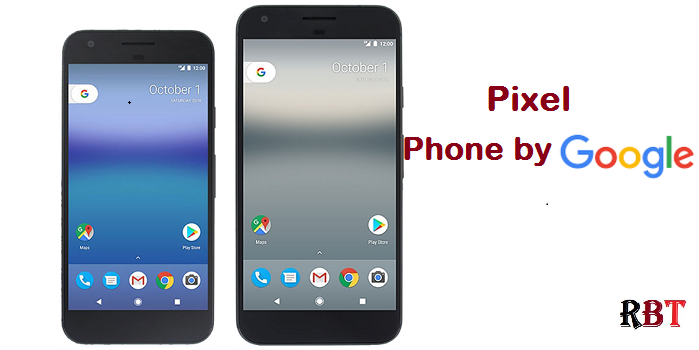 After a series of pre-event leaks, the Pixel android smartphone, a ‘phone by Google’ is has been officially launched. At first glance, Google’s latest phone, designed in-house and using parts from flagging former flagship HTC, doesn’t look revolutionary. But the pair of pixel phones will make other Android manufacturers very, very nervous. Differentiated primarily by the size and resolution of their screens — 5-inch 1080p display on the Pixel and 5.5-inch Quad HD panel on the XL — both devices are powered by the latest Snapdragon 821 processor and run a specialized version of Google’s Android software — Android Nougat 7.1 —, which includes support for the DayDream VR platform. The ‘phone by Google’ is the first phone with inbuilt Google Assistant, the company’s AI-powered question and answer helper bot. In Google’s event demo, the Assistant is used to bring up photos from a particular time or place from the past, and also plays whatever music you ask it to play, choosing your favorite music app by default. Similarly, it integrates the Google Now on Tap functionality, allowing the user to swipe up with information on the screen, such as a restaurant name, and provides further information, such as reviews and the restaurant’s address. Also, like a bot, the Google Assistant will take your reservation for that same restaurant using only voice prompts. The rear camera scored an 89 in DxOMark, the highest rating ever. That benchmark isn’t the most consistent measure of good performance, but at least it’s an indicator of the sensor’s potential in the new Pixel phones. If it’s as good as Google promises, it might be enough to convert a lot of iPhone lovers, who tend to drift towards iPhones because of their very easy-to-use and very nice cameras as well as the very easy-to-use and very nice operating system. It seems that Google’s caught up on a camera that just works. It has a 12.3-megapixel resolution with large 1.55-micron pixels and a f/2.0 aperture. Google claims that its new camera has “the shortest capture time on any mobile camera ever.” There’s also very intricate, gyroscope-based video stabilization on board, however, there’s no optical image stabilization for stills. Google isn’t shy in presenting this as the best smartphone ever. Google will allow free unlimited storage for full-resolution images and videos shot with the Pixel. That’s much like the standard Google Photos backup ability, but takes off the size limit and compression, even on 4K video shot with the new phone. Users will be getting the latest Android updates directly from Google as soon as they become available. This is one of the biggest pain points with Android, and Google is stressing its lead in this category. The company has also paid close attention to the Pixel’s endurance on the move, adding fast charging that gets you up to 7 hours of power in 15 minutes of charging. The phone by Google is the first Daydream-compatible phone and Google today also announced the $79 Daydream View headset to accommodate the Pixel for VR use. The Daydream View comes bundled with a tiny motion controller that is so precise, claims Google, that you can even draw with it. When you’re done using it, the controller tucks inside the Daydream View itself for safe storage. On the hardware front, the flagship phones are both made out of aluminum with a big glass window at the back, surrounding the camera, flash, and the fingerprint sensor (now dubbed Pixel Imprint). The Pixel XL has a 3,450mAh battery and the Pixel has a 2,770mAh battery. Both displays are AMOLED, both devices have 4GB of RAM, USB-C, a choice of 32GB or 128GB of storage, Bluetooth 4.2, and a 3.5mm headphone jack. Yes, Google felt the need to advertise that last one. Google partnered with top artists to come up with custom cases for Pixel similar to what it introduced with last year’s Nexus devices. It will come in three colors – Quite black, Very Silver, Really blue with the latter limited to just 32GB of storage. As expected, the pricing for the Pixel phone by Google higher bear a slightly higher price tag. Pricing starts at $649 for the smaller 5-inch Pixel with 32GB of storage, available for preorder on Tuesday. That number scales up to $749 with 128GB of onboard storage, $769 for the larger Pixel XL with 32GB, or $869 for the XL with 128GB.